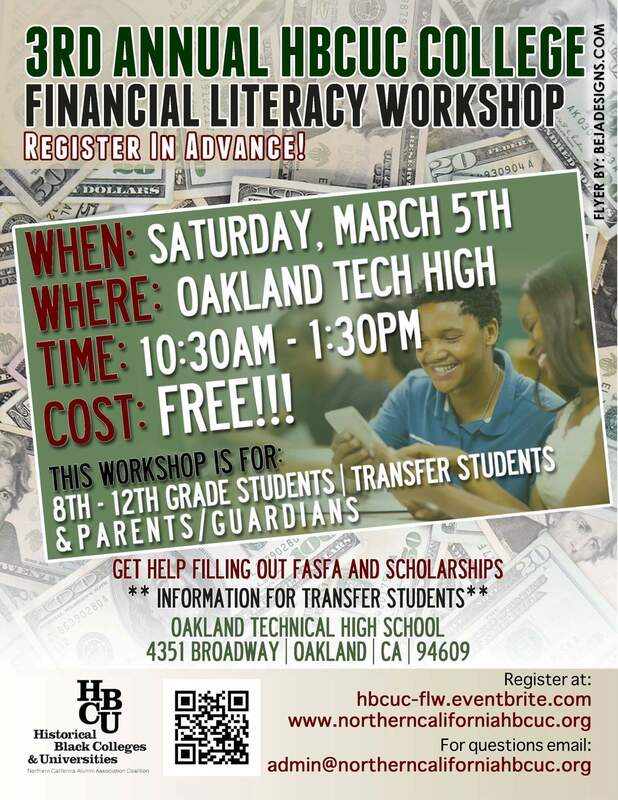 The Northern California Historically Black College and University Coalition is presenting its 3rd Annual College Financial Literacy Workshop on THIS Saturday, March 5 from 10:30am-1:30pm at Oakland Tech High School (4351 Broadway, Oakland. 94609). Snacks will be provided. Although it truly seems daunting, college can be affordable. There are resources to make going to college a financial reality. There will be various speakers talking about different aspects of paying for college. Hope to see you there!